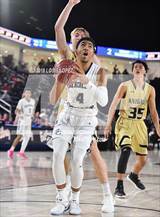 To claim this profile, please confirm you are Kenyon Martin Jr..
To follow this profile, please let us know your relationship to Kenyon Martin Jr..
Kenyon was tagged in the article "MaxPreps 2018-19 California Boys Basketball All-State Teams." Kenyon was tagged in the article "MaxPreps 2018-19 High School Boys Basketball All-American Team." Kenyon was tagged in the article "Protecting the Game: Will leaving home be the new norm for elite high school basketball prospects?." Kenyon had 13 photos tagged from the game against Sheldon. 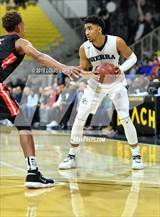 Kenyon was tagged in the video "Sierra Canyon versus Sheldon - 2019 CIF Open Highlights." Kenyon was tagged in the video "Top 25 High School Basketball Rankings." Kenyon had 25 photos tagged from the game against Sheldon. 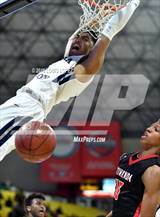 Kenyon was tagged in the article "Sierra Canyon sweeps CIF boys and girls basketball championships." RESULTWin Boys varsity basketball vs. Sheldon. The Sierra Canyon varsity basketball team won Saturday's neutral playoff game against Sheldon (Sacramento, CA) by a score of 76-52. Kenyon had 8 photos tagged from the game against Mater Dei. RESULTWin Boys varsity basketball vs. Mater Dei. 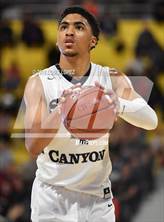 The Sierra Canyon varsity basketball team won Tuesday's home playoff game against Mater Dei (Santa Ana, CA) by a score of 83-73. RESULTWin Boys varsity basketball vs. Westchester. The Sierra Canyon varsity basketball team won Saturday's home playoff game against Westchester (Los Angeles, CA) by a score of 65-60. Kenyon had 30 photos tagged from the game against Bishop Montgomery. RESULTWin Boys varsity basketball vs. Torrey Pines. The Sierra Canyon varsity basketball team won Wednesday's home playoff game against Torrey Pines (San Diego, CA) by a score of 82-38. Kenyon was tagged in the video "Top 10 Basketball Plays of the Week // Week 4." 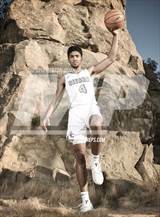 Kenyon was tagged in the video "Kenyon Martin Jr. highlights." RESULTWin Boys varsity basketball @ Bishop Montgomery. The Sierra Canyon varsity basketball team won Saturday's away playoff game against Bishop Montgomery (Torrance, CA) by a score of 64-57. This game is part of the "2019 CIF Southern Section Ford Boys Basketball Playoffs - Open Division" tournament.